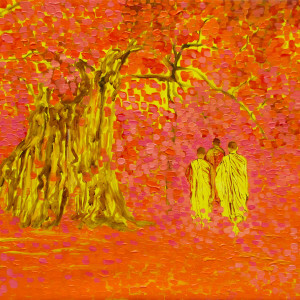 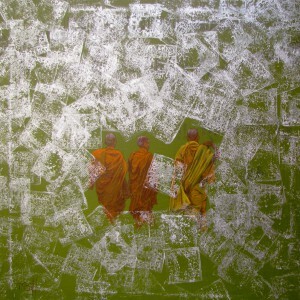 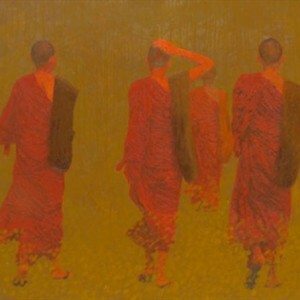 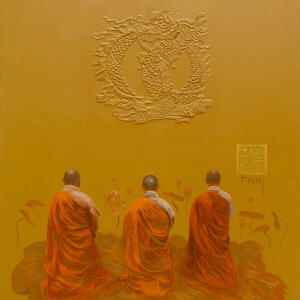 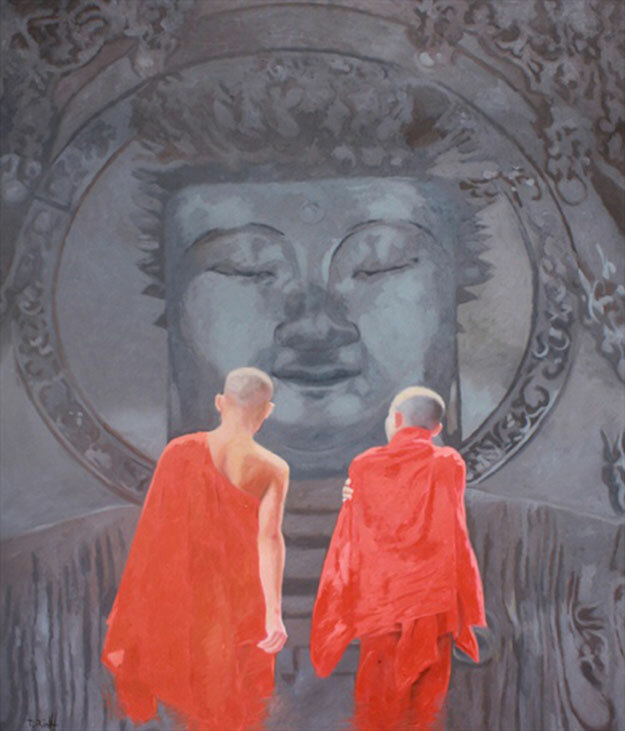 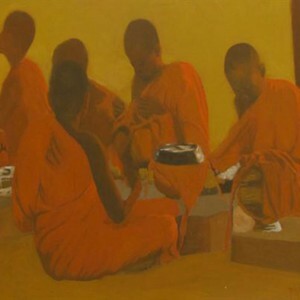 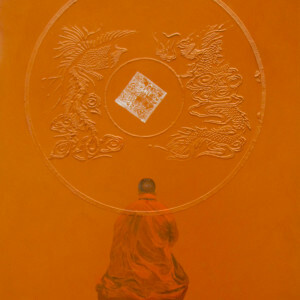 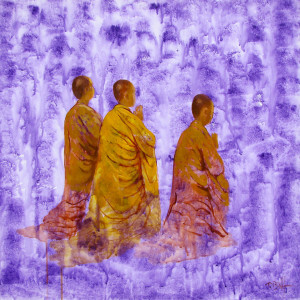 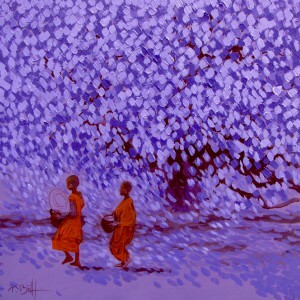 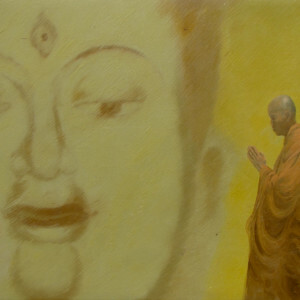 Vu Thai Binh, a leading practitioner of contemporary art in Asia, has done many paintings inspired by Buddhism. 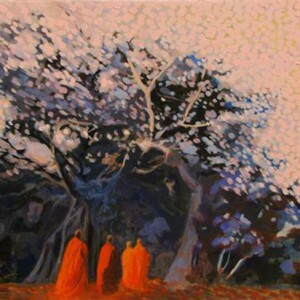 This beautiful painting has two monks in saffron (the color of renunciation), looking at the Great Buddha, the Enlightened One. 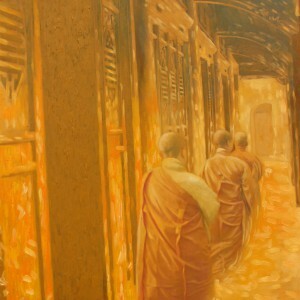 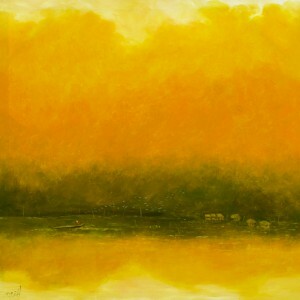 The painting has a photographic feel to it while it is stylized at the same time. 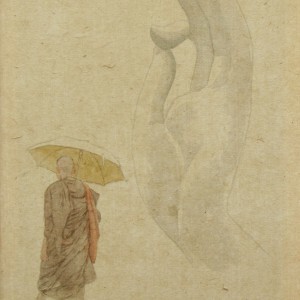 The composition is very evocative.